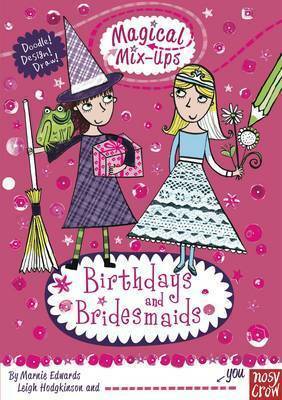 Magical Mix-Ups : Birthdays and Bridesmaids by Marnie Edwards, Leigh Hodgkinson and . . . you! 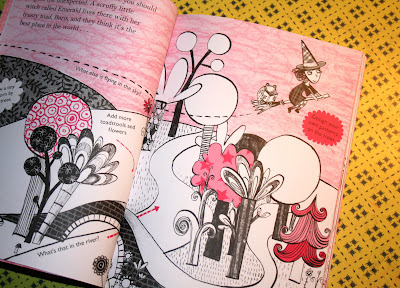 As with the Mega Mash-Ups series, which is co-reated by Nikalas Catlow who is also the creator of several doodle books, the creators of Magical Mix-Ups also have a great background. 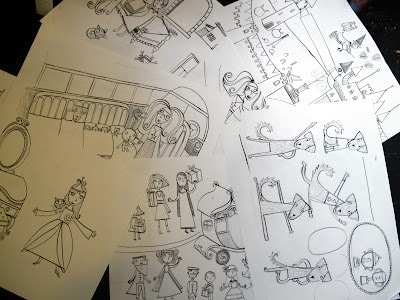 Co-creator Leigh Hodgkinson, who's excellent website is called Wonky Button, is the author and illustrator of the charming picture book Goldilocks and Just One Bear, among many others, proving she has the credentials to make this already fantastic idea for a book series superlative. 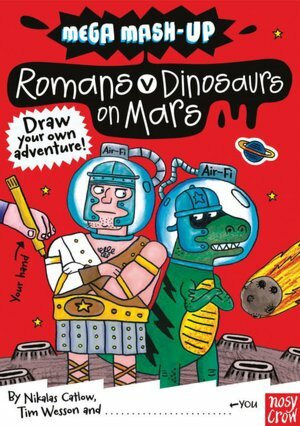 As with the Mega Mash-Ups series, each book brings together two (wildly disparate in the case of Mega Mash-Ups) protagonists to get the story started. And, like Mega Mash-Ups, there is a page introducing the characters and a page with tips of filling in the blanks parts. 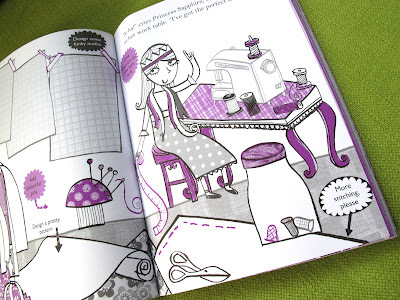 In this case, there are ideas for drawing tools as well as decorating tools with ideas like glitter, sequins, tinfoil and candy wrappers to jazz up the illustrations. 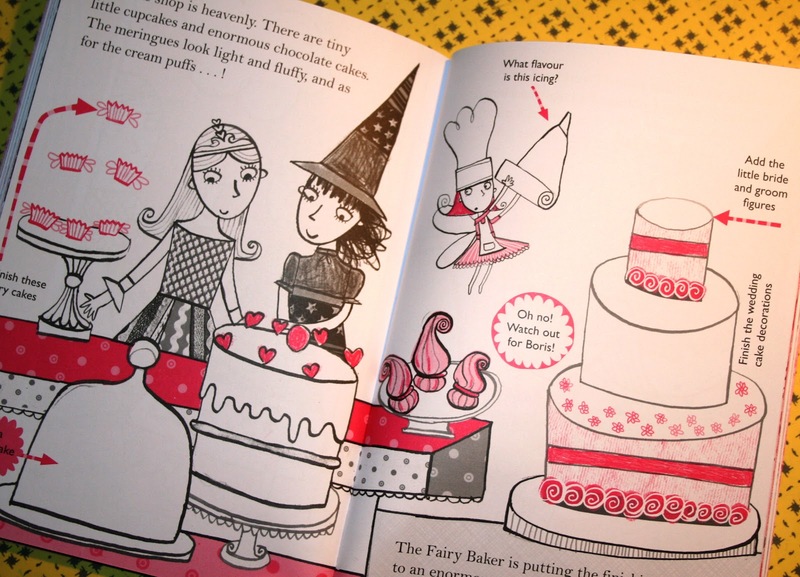 In Magical Mix-Ups: Birthdays and Bridesmaids, Emerald the Witch and Princess Sapphire live in the land of Mixtopia. They get invited to the wedding of Princess Sneezebelle and Prince Peasebottom at the court of the Fairyland. The friends get to pick out their dresses for the wedding (with the help of the reader, who gets to design them) and solve a mystery when the wedding rings go missing. There is the chance to decorate cupcakes and the chance to unravel a clue in the form of letters iced on top of a box of cupcakes as well. The reader/artist gets to decide if Emerald lives in a messy or clean house and she gets to add dialogue to the story as well. This series really, truly is interactive with the reader writing ad illustrating the book. 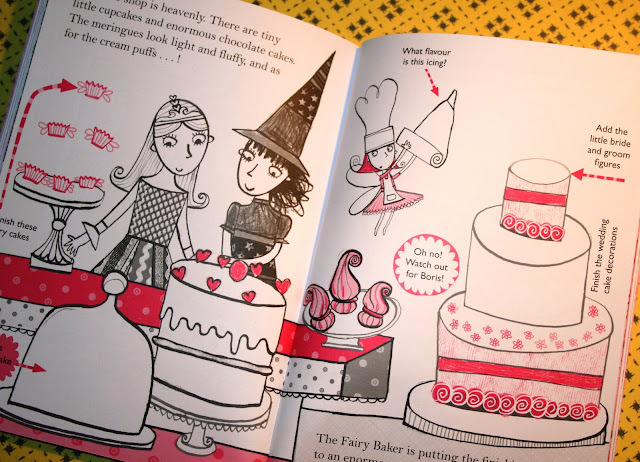 Book 2 in the Magical Mix-Ups series, Friends and Fashion, comes out next month, and book three, Pets and Parties, in 2013. Visit the Mega Mash-Ups website for some cool stuff and look for all six of the books!